Indulge me for a post while I briefly put sewing and quilt making aside to post a few precious family photos. I'll try to make the commentary brief. 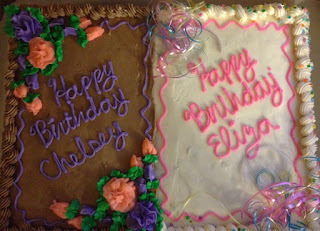 Chelsey, my 5th daughter, and Eliza (Lizzie), my granddaughter, had birthdays this month. Chelsey lives in California but wanted to celebrate with Lizzie so she and her boyfriend Malachi came up for Lizzie's birthday. If any of you remember last year on my mother's birthday, February 23, Lizzie was born. 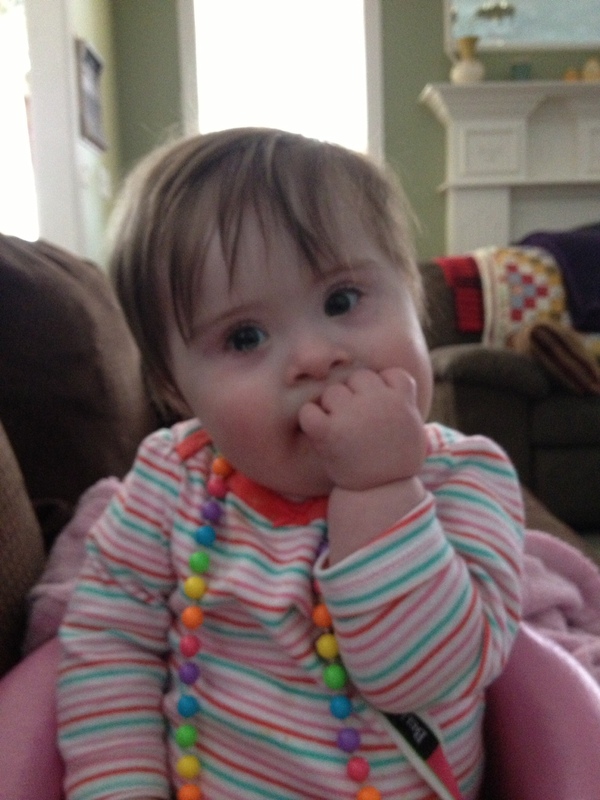 Lizzie had a daunting first few months and somewhat first year, but is thriving and doing well. Lizzie is a beautiful, sweet and happy little girl. And we are delighted she lives with us along with her mom and big sister Allison. 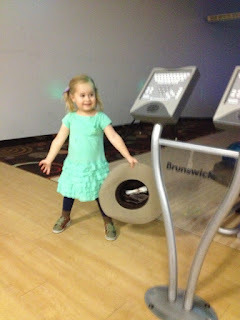 We decided to have a bowling birthday party for Lizzie even though she couldn't bowl but it was fun to get together and celebrate with a family activity doing something fun. This picture is all of us minus Malachi and Justin (Natalie's husband), who were taking pictures, as well as Tracey and her husband Eliot that live in Oklahoma. We missed having them but it was wonderful to be together with everyone else. Of course 3 yr. old Allison assumes she is the star of every occasion and makes sure we know it. Here I am holding Lizzie as she makes her latest face - kissy face. Lizzie is enjoying current good health and making wonderful milestones. We are grateful for the last (somewhat rocky) year. We do it together, all of it. No Way! Can it really be a whole year since you wrote that beautiful post about her birth??? Wow -- how time flies. Happy Birthday to Eliza and Chelsea! Happy Birthday, Lizzie and Chelsey. You have a beautiful family, Nanette. It's fun to see you all together at the bowling alley...doing what family does best...being together!!! family is our biggest blessing. that baby is just adorable. 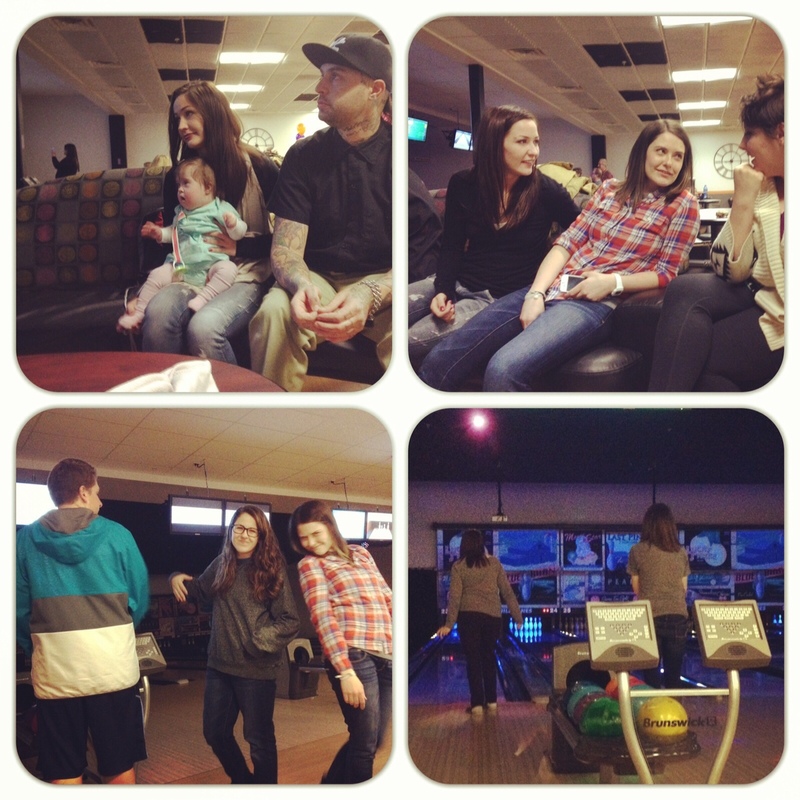 You are so lucky to have such a beautiful family. Happy Birthday to all! Nanette, I just have the biggest smile seeing all these wonderful pictures. You are so right. It's all about family - staying the course and doing what has to be done, together. Eliza is just beautiful (and Allison, too, of course! ), and your family is strong and courageous. Glory to God! So fun to see all of your family together :) How can Eliza be a year old already? So happy to know she is doing well and thriving, despite the health challenges that have been faced each day. She looks loved and content. Nanette your pictures are wonderful! Lizzie is precious beyond words, Happy Birthday big girl!!! Awww! I needed a little happy boost today and your post provided that, thanks! Your granddaughters are adorable. Hey I've got a teenage son that towers over everyone else in the family too! Omigosh, look at her adorable face! Lizzie is a darling. And what a grown up sister she has :) Glad the birthday celebrations were family and fun filled. A Big HAPPY BIRTHDAY to the birthday girls. Lizzie and Allison are so cute. They're all adorable - glad to know Eliza is doing so well! What a lovely family day you all had, my very best wishes to you all. Lizzie is just gorgeous, so glad she's doing well now..chubby gorgeous little face! Looks like a lot of fun. Thanks for sharing your family with us. The chocolate/vanilla cake was pretty cute! I cannot believe she is one already! Such a cutie pie. Thank you for sharing your family. That year seemed to go fast, probably not for you though. It's wonderful of you to share the happy family moments. I cannot believe it has already been a year! Lizzie is so beautiful - love the kissy face! Soooo glad she is doing well! Thank you for sharing!! Sending good thoughts from Georgia! What a sweet little child :) happy birthday Eliza! Thanks for sharing this lovely milestone. It's great to see Eliza doing so well after her difficult start. You have a beautiful family. one year old already! it has been fun seeing her and big sis grow. Happy Birthday to Lizzie and Chelsey! Those two little girlies of yours are adorable! So happy that Eliza is thriving ~ she is just beautiful, and looks so very happy!! Lucky, Lucky you to have them with you! How did one whole year go by?! What a fun celebration with your dear family! 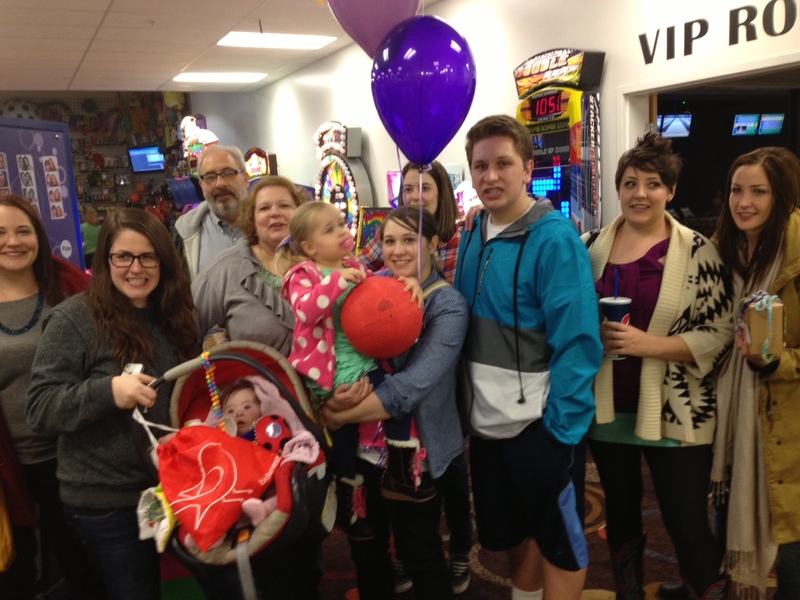 What a fun way to celebrate, your family is just beautiful Nanette! 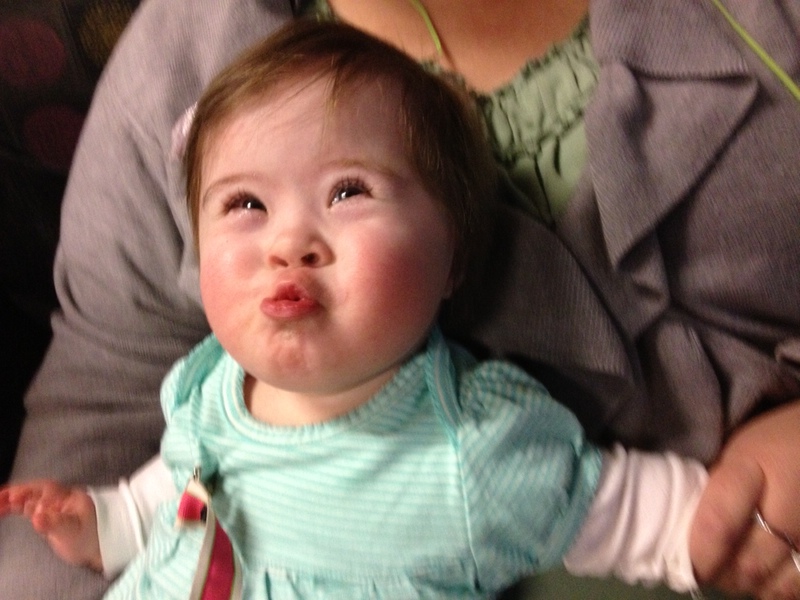 What a cutie, that little kissy face cracks me up. Everyone looks awesome, Happy Birthday to Chelsey and Lizzie! I can't believe a year has gone by that fast!! She is adorable!!!! Happy birthday to both of your girls.